To do this walk catch a 29 bus along the A50, getting off the stop after the Stamford Arms. 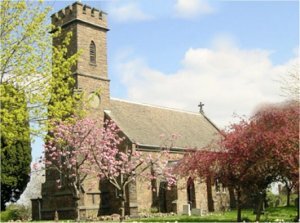 Groby has a long history with associations with Queen Elizabeth Woodville (wife of Edward IV), Lady Jane Grey (the nine-day Queen) and Lord Thomas Grey of Groby (a signatory to the death warrant of King Charles I). 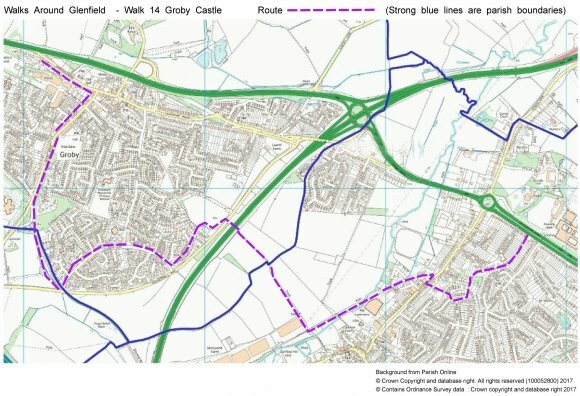 For our purposes the walk described is taking you back to the A50 taking in some historic features along the way but depending on where in Glenfield you wish to return to you can cut out some of the later sections. Doing the full walk it is about 4 miles.